Image of Lisa Casali via Fine Dining Lovers The idea of cooking salmon in your dishwasher is a pretty well known kitchen parlor trick that, by itself, ends up wasting a lot of power and water. 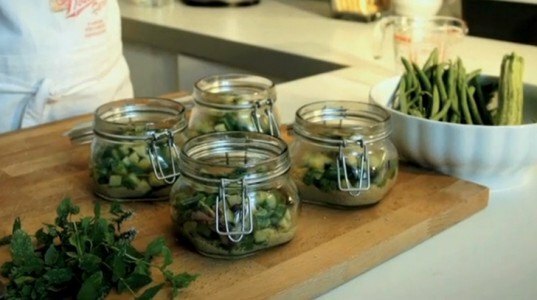 However, in a recent NPR segment, a pioneering food writer of dishwashing cuisine named Lisa Casali says she has figured out a trendy new way of using heat sealed containers—such as canning jars and food vacuum bags—to cook all her food while cleaning a full rack of dirty dishes. Talk about multitasking... Suddenly cooking with your dishwasher doesn't sound so crazy. Instead, it’s actually an economical, and not to mention, environmentally friendly way to cook. It will also keep your house cooler (no running oven) and you won’t have to watch over it or worry about burning your meal. 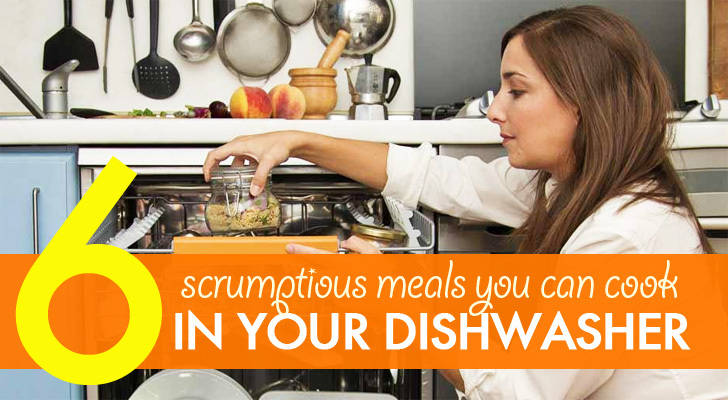 We've rounded up a small sample of six meals that you could be throwing into your dishwasher right now! It’s an oldie but a goodie. Poached salmon can be particularly tricky if you’re not closely watching the temperature. Cooking it in a dishwasher, however, is as simple as setting dishwasher to a normal 50-minute wash cycle according to this recipe the Los Angeles Times reprinted in 1970s. Before putting your fish packet onto the dishwasher rack though, you’ll want to fill the pouch full of aromatics like lemon, dill, peppercorns, and a sprig of parsley. Eating your vegetables is important and so Lisa Casali found a super easy way to make them. You can toss all your vegetables into vacuum-packed cooking bags to seal in flavors better than a pot of boiling water ever could. 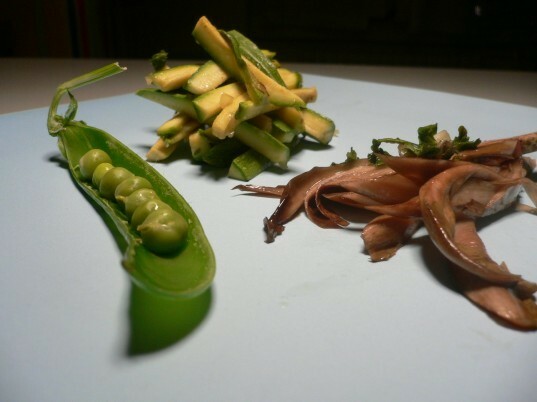 They don’t have to be just boring, bland steamed pea pods either. Casali gives a few recipes to make balsamic tinged crunchy radicchio treviso and curry seasoned baby marrows. Tasty lasagna is still possible even if you never had an Italian grandmother to teach you to make it. You can easily assemble your stacks of pasta (preferably oven-ready lasagna noodles), ricotta cheese, mushrooms, and pre-sauteed meats into an aluminum pouch ready for a spin in your dishwasher. Set your machine on a two hour normal cycle and heated dry cycle for a deliciously fully cooked, albeit non-browned, lasagna. Even The Mythbusters and Epic Meal Time are trying it out. 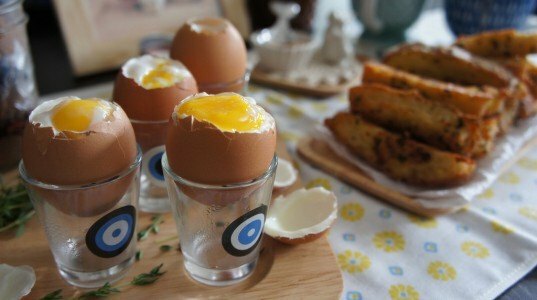 Who says you need a sous-vie cooking machine to create the perfect soft-boiled eggs? Lisa Casali’s guide says to toss some eggs into a glass container filled with water and heat it in the dishwasher for an hour-long intensive cycle at 65 degrees Fahrenheit. After unwrapping and shelling the egg, you should have a soft white egg with a slightly creamy yolk. Making cous cous in a dishwasher can be as easy as packing the grain into an airtight jar and sprinkling it with some chicken stock. But if you want something with a little more bite, as well as fragrant flavors, you should follow Lisa Casali’s recipe and add some pan-fried green beans, zucchini, and mint. Okay, so it might be a bit blasphemous to make ribs on anything but a grill, but this is totally something you can do with a dishwasher too. It actually makes a lot of sense given all that low, controlled steam heat. Just add all your usual dry rub seasonings: including cayenne, garlic powder, paprika, chili powder, brown sugar, cumin, and so on (add liquid smoke for the flame charred taste of the grill). After you’ve got everything prepped, simply wrap it all in foil and stick the ribs in the washer so that they stand up—this will give way to a more even heat distribution. This recipe is ideal for the days you run your dishwasher on its longest cycle (two hours or longer). Use this healthy and yummy seitan recipe as your meat substitute. 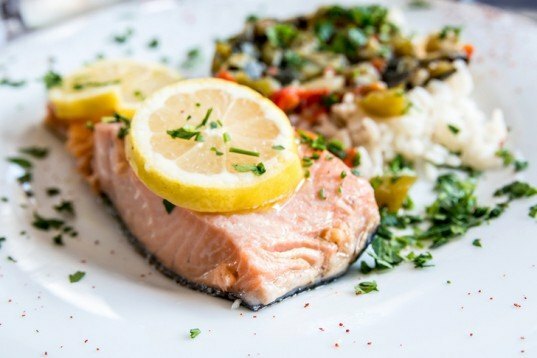 Dill Lemon Cream Salmon It’s an oldie but a goodie. Poached salmon can be particularly tricky if you’re not closely watching the temperature. Cooking it in a dishwasher, however, is as simple as setting dishwasher to a normal 50-minute wash cycle according to this recipe the Los Angeles Times reprinted in 1970s. Before putting your fish packet onto the dishwasher rack though, you’ll want to fill the pouch full of aromatics like lemon, dill, peppercorns, and a sprig of parsley. Boiled Vegetables Galore Eating your vegetables is important and so Lisa Casali found a super easy way to make them. You can toss all your vegetables into vacuum-packed cooking bags to seal in flavors better than a pot of boiling water ever could. They don’t have to be just boring, bland steamed pea pods either. Casali gives a few recipes to make balsamic tinged crunchy radicchio treviso and curry seasoned baby marrows. Dishwasher Lasagna Florentine Tasty lasagna is still possible even if you never had an Italian grandmother to teach you to make it. You can easily assemble your stacks of pasta (preferably oven-ready lasagna noodles), ricotta cheese, mushrooms, and pre-sauteed meats into an aluminum pouch ready for a spin in your dishwasher. Set your machine on a two hour normal cycle and heated dry cycle for a deliciously fully cooked, albeit non-browned, lasagna. 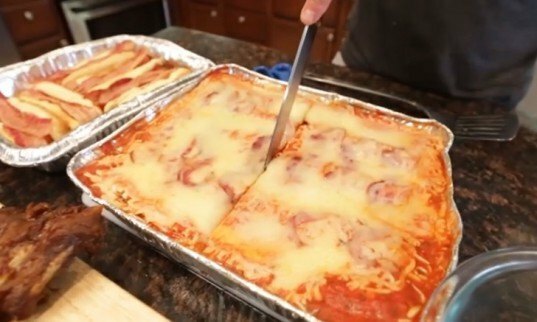 Even The Mythbusters and Epic Meal Time are trying it out. Perfect Soft-Boiled Eggs with Creamy Yolks Who says you need a sous-vie cooking machine to create the perfect soft-boiled eggs? Lisa Casali’s guide says to toss some eggs into a glass container filled with water and heat it in the dishwasher for an hour-long intensive cycle at 65 degrees Fahrenheit. After unwrapping and shelling the egg, you should have a soft white egg with a slightly creamy yolk. Cous Cous with Green Beans, Zucchini and Mint Making cous cous in a dishwasher can be as easy as packing the grain into an airtight jar and sprinkling it with some chicken stock. But if you want something with a little more bite, as well as fragrant flavors, you should follow Lisa Casali’s recipe and add some pan-fried green beans, zucchini, and mint. 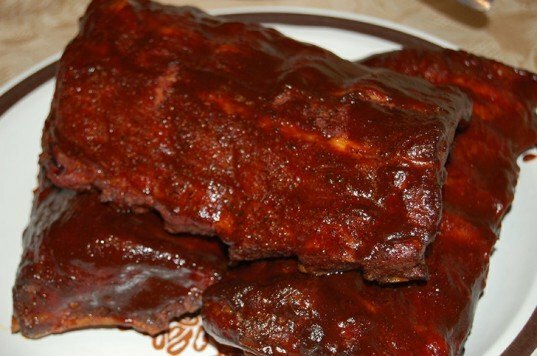 Vegan Ribs (Yes Really!) Okay, so it might be a bit blasphemous to make ribs on anything but a grill, but this is totally something you can do with a dishwasher too. It actually makes a lot of sense given all that low, controlled steam heat. Just add all your usual dry rub seasonings: including cayenne, garlic powder, paprika, chili powder, brown sugar, cumin, and so on (add liquid smoke for the flame charred taste of the grill). After you've got everything prepped, simply wrap it all in foil and stick the ribs in the washer so that they stand up—this will give way to a more even heat distribution. This recipe is ideal for the days you run your dishwasher on its longest cycle (two hours or longer). Use this healthy and yummy seitan recipe as your meat substitute.